The Alabama State Department of Education (ED) in May launched its fifth annual Alabama Summer Learning Challenge. The program, which runs through the end of July, aims to boost student engagement in reading, math, science and other core subjects over the summer by providing free access to a number of online learning tools and resources. 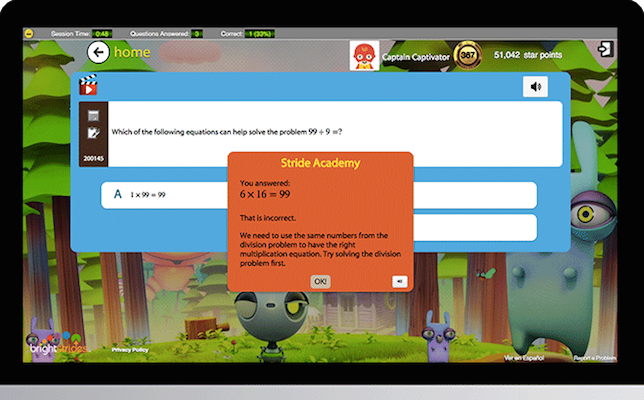 First, the ED is offering free access to Stride, a cloud-based adaptive learning tool from Fuel Education that teaches students in grades pre-K through eighth grade to master core subjects, and rewards learning with games. Stride works on tablets and laptops, so students can access it anywhere. Students earn coins and can redeem virtual prizes in Slide. Image: Fuel Education. Next, there is “Find a Book Alabama,” a book-search tool from MetaMetrics, a company that develops scientific measures of academic achievement and technologies. Individuals can use the tool to lookup books within their Lexile range, drawing from a database of more than 260,000 books. Lastly, an e-mail-based math skills program begins June 19 and ends July 28; the program is also run by MetaMetics. To access the learning resources, visit the challenge site.